• Does the school pay to have MINT School Portraits do Picture Day? No. 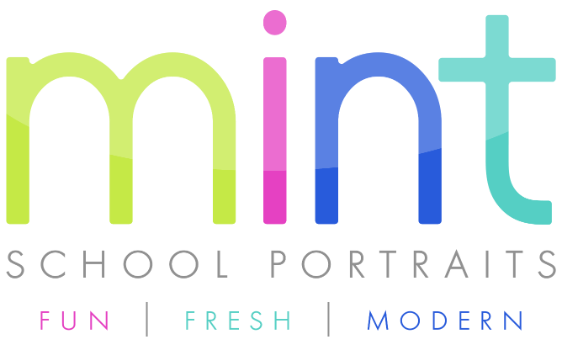 There are no fees involved when hiring MINT to do your school's portraits. • What area does MINT School Portraits serve? MINT is located in beautiful Litchfield County. We serve all of Connecticut, Rhode Island, Massachusetts and and parts of New York. Please call to discuss your school’s location: 203.509.8052 OR info@mintschoolportraits.com. • What price range does MINT offer? We offer a wide range of competitively priced packages and A La Carte options. Parents receive exceptional value for their money with many poses to choose from and outstanding, archival print quality. • What kind of packages and photo products does MINT offer? Packages will vary depending on the size of the school, grade range, number of students, and what the school community is looking for in terms of products offered. High school packages will be very different from what might be offered to a Preschool. We custom tailor the packages based on what that community wants. • Do you take group class pictures? Yes! We offer group class pictures or composites - whichever the school prefers. • Do you provide a class picture to teachers? Yes. Every preschool and elementary classroom teacher receives a complimentary 5x7 photo of their class. • Do you provide yearbook images? Yes, if requested. • Do families have to pay in advance? No, we do not offer a pre-pay program. Parents see their child’s images first before making a decision on whether to purchase portraits or not. • How many poses or images does each student get? A variety of sitting and standing poses that include ¾ to full length (shoes are important! ), head & shoulders and close ups shots. Our goal is to provide a minimum of 2 or more poses per student. The average gallery is 4-6 poses. • Are digital files available for purchase? Yes! You can purchase digital files to print your own pictures. • How do families order? Viewing of proofs, ordering and payment are all done online via a private gallery so that there is no more collecting and distributing of envelopes. • Can siblings be photographed together? Yes! MINT offers sibling portraits but it's ultimately up to the school. • Can MINT do family or holiday portraits as a school fundraiser? Yes, either at the school or an off-site location.